We believe that the health of employees is directly linked to the health and performance of an organization. A visit to our clinic will empower people to be and perform at their best. Let us help your employees in managing their health & well-being. The Bone Wellness Centre offers the most accurate & precise technology: DEXA, the “gold standard” to measure total body composition. 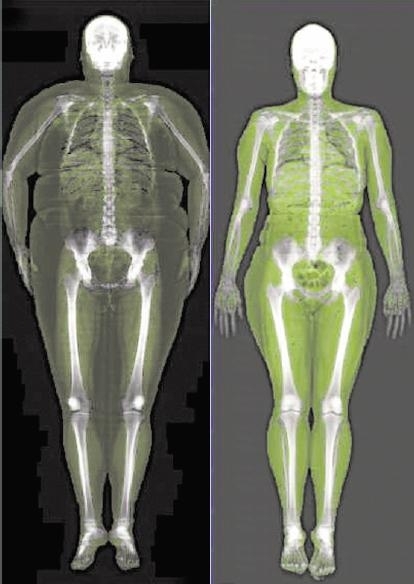 DEXA is the only diagnostic test that can measure your fat, muscle & bone to give you the complete picture from the inside. It is essential that your employees know their body fat! Fat kills! 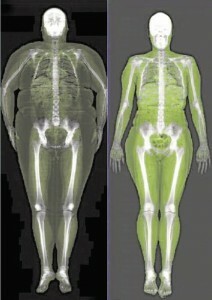 Over 50% of our adult population is carrying excess body fat! It is not the amount of weight measured but the true amount of fat one has that can be dangerous to one’s health. By identifying high risk employees, you are showing commitment to your employees that you are valuing their well being. This in-turn will lead to a positive, productive workplace with an increase in morale. Everyone’s goal should be building lean muscle mass & losing excess body fat! By identifying high risk employees, you are showing commitment to your employees that you are valuing their well being which in-turn will lead to a positive and productive workplace. How can DEXA SCANS benefit your company? A healthy force is a productive workforce! COMPREHENSIVE ASSESSMENT includes a DEXA total body composition scan using a low dose x-ray, colour images & a detailed report & consult. Be a company that cares, encourages & supports their employees about improving their health & quality of life. The effort your company invest’s in its employees health will reap huge dividends for the future!